Nonylphenol is a toxic xenobiotic compound resulted from biodegradation of nonylphenol ethoxlates and alkyl phenol ethoxylates, and it is considered to be an endocrine disrupter capable of interfering with the hormonal system of numerous organisms. Because of its toxic nature, it is on the 'priority list' of EPA and the European Water Framework Directive. Ever since nonylphenol was first synthesized, its use and production have been increasing almost exponentially. NPE has been used as wide range number of fields (textile, leather, paper, cleaning and cosmetics etc.). The annual production of nonylphenol reached to 73,500 tons in Europe, 40,000 tons in Japan and 145,000 tons in USA. The major source of nonylphenol in the environment is the discharge of effluents from sewage treatment plants. Low concentrations of NP can cause damage in the skeletal system, and high concerations can inhibit the growth of embryos. In Europe and the World in 2020, it will be planned that NPEO and APE will enter to the list of the priority chemicals, and also researches are conducted aiming to prevent the introduction of these harmful chemicals into the water environment. NPs accumulate in the sediments and biological sewage sludges because of their amphiphilic natures. It is determenied that NPs could be removed by several treatment methods such as aerobic, anaerobic, UV, ozonation, activated carbon and aerobic composting. However, these methods are expensive and cause to increase CO2 emission. Therefore, in order to remove nonylphenols which are of great importance in terms of environment and human health, it should be considered to new treatment methods for these type of trace contaminants. Nonilfenoller (NP); nonilfenol etoksilatlar (NPEO) ve alkil fenol etoksilatların (APE) biyodegradasyonlarından kaynaklanan endokrin bozucu toksik ksenobiyotik bileşiklerdir. Bu bileşikler, toksik özellikleri nedeniyle EPA ve Avrupa Su Çerçeve Direktifi çalışmalarında ‘öncelikli maddeler’ listesinde yer almaktadır. Nonilfenollerin üretilmeye başlandığı yıldan itibaren üretimi ve kullanımı katlanarak artmış ve tekstil, deri, kağıt, temizlik ve kozmetik vs. gibi çeşitli endüstrilerde kullanılan NP’lerin yıllık üretimi Avrupa’da 73,500; Japonya’da 40,000 ve Amerika’da 145,000 tona ulaşmıştır. Bu sebeple, yeraltı ve yüzey sularında, atmosferde, kanalizasyon çamuru eklenen topraklarda ve besinlerde NP varlığına yaygın olarak rastlanmıştır. Çevredeki NP’nin asıl kaynağı atıksu arıtma tesislerinin deşarjlarıdır. NP’ler düşük konsantrasyonlarda dahi olsa canlılarda iskelet sisteminde hasara neden olurken, yüksek konsantrasyonlarda embriyoların gelişimini inhibe edebilmekte, endokrin bozucu özelliği ile cinsel davranış ve üreme sistemini etkileyebilmekte ve hatta bitkilerde kök, kloroplast ve endoplazmik retikulumun yapısını değiştirebilmektedir. Avrupa ve Dünya’da 2020’de NPEO ve APE’lerin öncelikli kimyasallar listesine alınması ve bu tarz zararlı kimyasalların su ortamına verilmesinin engellenmesine yönelik çalışmalar yürütülmektedir. NP’ler amfifilik yapıları nedeniyle biyolojik arıtma çamurlarında ve/veya alıcı ortam sedimentlerinde birikmektedirler ve bundan dolayı çalışmalar genellikle atık çamurlar üzerinde yapılmıştır. Araştırmalar sonucunda NP’lerin aerobik, anaerobik, UV, ozonlama, aktif karbon ve aerobik kompostlama gibi yöntemler ile giderilebildiği belirlenmiştir ancak bu yöntemler pahalı olmak ile beraber CO2 salınımını arttıran yöntemlerdir. Bu nedenle, çevre ve insan sağlığı açısından büyük önem taşıyan nonilfenollerin giderimini sağlamak için, arıtma tesisleri planlanırken bu tip iz kirleticilerin uzaklaştırılmasına yönelik alternatif ileri atıksu arıtım yöntemleri üzerinde durulmalıdır. .J. Shan, B. Jiang, B. Yu, C. Li, Y. Sun, H. Guo, J. Wu, E. Klumpp, A. Schäffer, R. Ji. (2011). Isomer-specific degradation of branched and linear 4-nonylphenol isomers in an oxic soil, Environ. Sci. Technol. 45 8283–8289. .USEPA (United States Environmental Protection Agency) (1990). Testing Consent Order On 4-Nonylphenol, Branched. Fed Reg;35:5991–4. 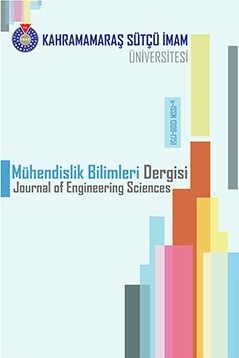 .Karci, A., Arslan-Alaton, I., Bekbolet, M., Ozhan, G., Alpertunga, B., (2014). H2O2/UV-C and Photo-Fenton Treatment Of a Nonylphenol Polyethoxylate In Synthetic Freshwater: Follow-Up of Degradation Products, Acute Toxicity And Genotoxicity. Chem. Eng. J. 241, 43-51. .Zhang, Y., Maier, W.J., Miller, R.M., (1997) . Effect of Rhamnolipids on the Dissolution, Bioavailability, and Biodegradation of Phenanthrene. Environ. Sci. Technol. 31, 2211-2217. .Krupi_nski, M., Janicki, T., Pałecz, B., Długo_nski, J., (2014). Biodegradation and Utilization of 4-n-Nonylphenol by Aspergillus Versicolor as a Sole Carbon and Energy Source. J. Hazard. Mater 280, 678-684. .S. Kazemi, et al., (2016). Histopathology and Histomorphometric Investigation of Bisphenol a and Nonylphenol on the Male Rat Reproductive System, N. Am. J. Med. Sci. 8 (5) 215-221. .Christiansen, T., Korsgaard, B., Jespersen, Å., (1998). Induction of Vitellogenin Synthesis by Nonylphenol and 17b-Estradiol and Effects on the Testicular Structure in the Eelpout Zoarces Viviparus. Mar. Environ. Res. 46, 141-144. .Ahel M, Giger W, Schaffner C. (1994b) Behavior of Alkylphenol Polyethoxylate Surfactants in the Aquatic Environment 2. Occurrence and Transformation in Rivers. Water Res;28:1143-52.
. US Environmental Protection Agency. (2005). Aquatic Life Ambient Water Quality Criteria: Nonylphenol. US EPA Office of Water, Washington DC, US. .Ventura, F., Caixach, J., Figueras, A., Espalder, I., Fraisse, D., Rivera, J., (1989). Identification of Surfactants in Water by Fab Mass-Spectrometry. Water Res. 23, 1191–1203.
. Aboul-Kassim, TA, Simoneit, BRT (1993), Detergents: A Review of the Nature, Chemistry, and Behavior in the Aquatic Environment. Part 1. Chemical Composition and Analytical Techniques: Critical Reviews in Environmental Science and Technology, 23, 4, pp325-376. .Ho Tan Tai, L, (2000). Formulating Detergents and Personal Care Products: A Guide to Product Development: AOCS Press, p16. .Porter, A. J., and Hayden, N. J. Nonylphenol in the Environment: A critical review. University of Vermont, Department of Civil and Environmental Engineering, Burlington, VT 05405. .Zhijiang Lu, Jay Gan (2013) Oxidation of Nonylphenol and Octylphenol by Manganese Dioxide: Kinetics and Pathways.
. Ömeroğlu Seçil, Fadime Kara Murdoch, F.Dilek Sanin (2014) Investigation of Nonylphenol and Nonylphenol Ethoxylates in Sewage Sludge Samples from a Metropolitan Wastewater Treatment Plant in Turkey. .Germán Buitrón, Angeles X. Torres-Bojorges, Glenda Cea-Barcia (2015) Removal of p-Nonylphenol Isomers Using Nitrifying Sludge in a Membrane Sequencing Batch Reactor. .Dawen Gao, Zhe Li, Junxue Guan, Hong Liang (2015). Seasonal Variations in the Concentration and Removal of Nonylphenol Ethoxylates from the Wastewater of a Sewage Treatment Plant. .G.M.S. ElShafei, F.Z. Yehia, Gh. Eshaq, A.E. ElMetwally (2016). Enhanced Degradation of Nonylphenol at Neutral pH by Ultrasonic Assisted- Heterogeneous Fenton using Nano Zero Valent Metals. .ECHA - European Chemicals Agency. (2013). Candidate List of Substances of Very High Concern for Authorisation. .CAKAL ARSLAN O, PARLAK H. (2007). Embryotoxic Effects of Nonylphenol and Octylphenol in Sea Urchin Arbacia Lixula, Ecotoxicology, 16:439-444.